Beginners and intermediate players need a violin tuner so they can always keep their beloved instrument in good shape. And if you’re looking for accessories, you can also read our article on shoulder rests for violins and see if there is any good item there that you might like. Practicing and becoming good at playing the violin takes time. When you start out everything seems complicated, but you soon realize that you have improved a lot and start to know many things. At that point, you can consider yourself an intermediate player. 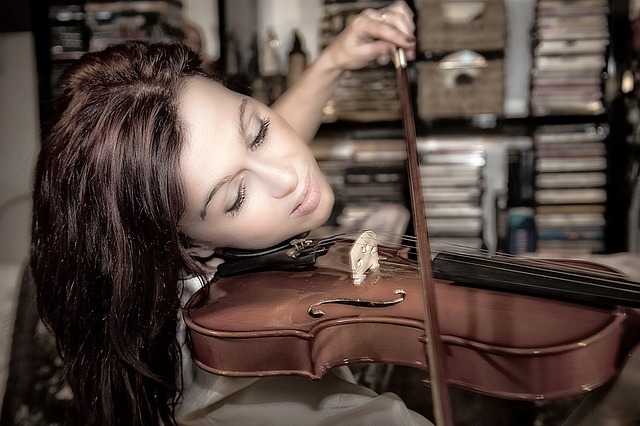 Some people might define an intermediate violin player as a person who is either capable of having good skill and poor musicality or vice-versa, but not both of them at the same time. So you can have a good technique and be able to pull off complicated music passages, but while doing that you might sound dull or unfitting. On the opposite end, you can put a lot of passion in what you play, having great musically, but ultimately you lack the technical capabilities to perform a piece of music as it should be done. The result is an inaccurate one. An advanced player is one that is able to play a complicated piece of play, mimicking its style with little to no technical errors. Also, an advanced violinist will know more pieces of music, possibly from numerous composers and that is why when facing a new piece they are better suited to perform it. An intermediate player can have issues with shifting positions, particularly from the 1st to the 3rd and the player can also sound out of tune sometimes. Such a player should be able to perform vibratos, spiccatos or other basic techniques, but not precise all the time. The New York State School Music Association, or NYSSMA, as the name suggests deals with educating kids in state schools in regards to music. This association has about 5,000 educators that work so that music students can be fairly and uniformly evaluated in the New York State. However, their principles and methodologies serve as a foundation for other associations that do the same thing across other states. The NYSSMA manual has six levels described in it, and each of these levels requires the player to be capable of playing certain music pieces. Although mainly designed for children, this manual can be used by adults to find a violin player’s level. Public high-school students that have some playing time should play at level 4 or above. Levels 5 is the one used to appreciate if a player can play in a community orchestra or extracurricular involvements. Those that follow conservatory studies or college music programs should be able to reach level 6 with the help of a teacher. It may be thus safe to say that if you are a level 4-5 player according to the NYSSMA manual, you are an intermediate violin player. But what makes the NYSSMA standards is how proficient a student is at playing a certain solo piece. As a result, this might not be a fair judgment of a player’s actual skill and talent. You can learn a single solo by heart, master that and get a high grade. That is why compared to other international exams, such as the ABRSM from England, a player that has a level 6 in NYSSMA standards can also be considered an intermediate one. This is a teaching philosophy that has been practiced since the mid 20th century and it aims to create an environment that is beneficial for learning music. It treats music as a language and encourages parents to support their children in learning it. 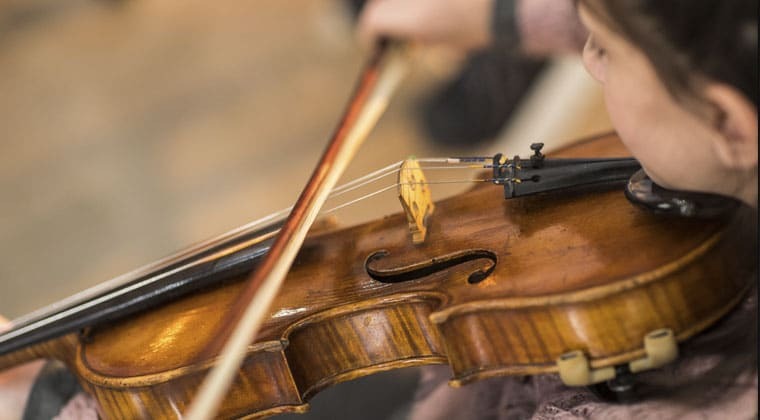 This method is also great for developing good moral character, but more importantly for this article, it also offers some guidance on violin playing levels. Suzuki created 10 volumes that comprise musical pieces of increasingly higher difficulties, starting from 1 and going up to ten. Following this scale of difficulty, an intermediate player should be able to play the pieces from the books 4 to 6. However, it’s also important to note that each book relies on the skills that the player has learned from books down the ladder. So if you’re trying to judge your skill based on the information found in the book 5, it’s possible that you can’t do that, as you didn’t read and follow the book 4. And that leads to the problem that adults have with the Suzuki method – it’s very time-consuming. You can’t just look at a book and start playing from it. You have to follow each book, pay attention to everything on it and slowly progress. And doing that as an adult is difficult, especially with hectic schedules. There are certain little things that you can notice about yourself and they can tell you if you’re an intermediate or rather, a beginner. We’re not talking about being great yet, as that takes years and years of practice. One little trick to use when trying to judge how good you are is to listen to your favorite violinist and see how close you are to his or her sound. Of course, this is a subjective issue, but if you are honest to yourself this should give you an idea of how much you need to improve. If you have the patience, time, and ability to practice the violin for 4-5 times a week, and you have been doing this for a year or more, you are probably an intermediate player. But if you don’t, chances are that you won’t be gaining knowledge fast enough and you will remain a beginner. 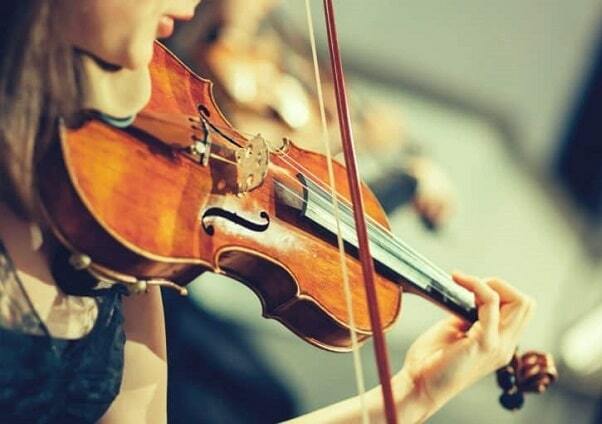 The violin is an unforgiving instrument, especially in the first year, so a player needs a lot of time to be good at it. Do you remember how you started playing the violin? If you had a good ear and you felt that you were talented and things sounded pretty well from the start, chances are you’re doing great and you’re probably an intermediate player already. You can also learn the violin faster if you know how to play other instruments as well. The important thing is to always keep practicing and that’s how you’re going to become great.